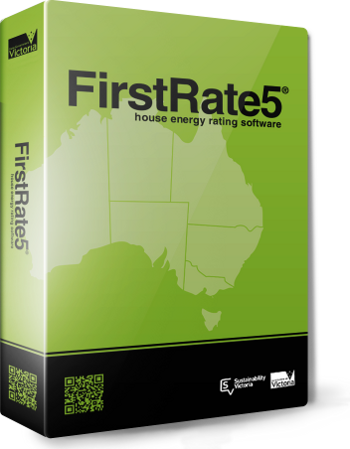 Education In Building is proud to be the leading Nationally Registered Training Organisation offering training in FirstRate5 Software which allows you to practice as an accredited Home Energy Rater throughout Australia. We support industry by providing the tools necessary to be successful as an energy rating specialist. FirstRate5 leading edge software training has been developed for accredited Thermal Performance assessors who carryout energy ratings and wish to ensure their skills meet or exceed industry expectations. Leading edge training is a unique experience offering highly interactive and practical training using the FirstRate5 software tool. Our goal is to provide skills enhancement solutions that exceed your current FirstRate5 knowledge level…. To support the industry and assist assessors in improving their knowledge and skills we have developed this Leading Edge training. This two day training course that has been specifically designed for assessors who have completed the course CPP41212 Certificate IV in NatHERS assessment, or have gained equivalent knowledge and experience in the use of FirstRate5 Software. The Education In Building Technical and Training Advisory Committee (EIBTTAC) identified the need for further study above and beyond the four day training assessors received as an introduction to the FirstRate5 software. Let us help you understand best practice methods of thermal performance assessing not to mention the peace of mind knowing you are completing your clients assessments achieving the best possible results. Education In Building has tailored this customised training course where students focus on developing and refining advanced skills and practical knowledge through extensive carefully chosen hands on training and exercises which the student can go through at their own pace, with a certified trainer is by their side to answer any of their specific questions. The main objective of this course is to assist assessors understand FirstRate5 and energy rating in greater detail than were taught in the introductory or intermediate course. The outcome is a greater retention of knowledge and skills that can easily be transferred back in the work place. Students typically should have more than two years of hands-on experience using FirstRat5 Software. Has broad familiarity with NatHERS Tech notes. This course will give you the leading edge on your competitors. Enrolments can be made at anytime of the year . This 2 day intensive course has a unique approach as it demonstrates, and gives hands on experience, using best practices that work. The course will provide a holistic understanding of the key areas that FirstRate5 is based on. Participants will be provided with a set of professional skills necessary to undertake a comprehensive evaluation of an energy rating. The course begins with an overview of the best practice methods used in FirstRate5. This is followed by a detailed discussion of the FirstRate5 manual using practical examples. The second day of the course will delve into a project evaluation and show how to improve the method of assessing thermal performance. The course concludes with a discussion of the best practice methods highlighted in the leading edge training. Subscribe to EIB Update and we will keep you informed about the latest news items related to NatHERS Energy Raters as well as CPD courses designed specifically to improve Thermal Performance Assessments. Education In Building is committed to helping Thermal Performance Assessors and focus on continuous improvement and help stay up to date and continually build skills, knowledge and expertise in the energy efficiency sector.